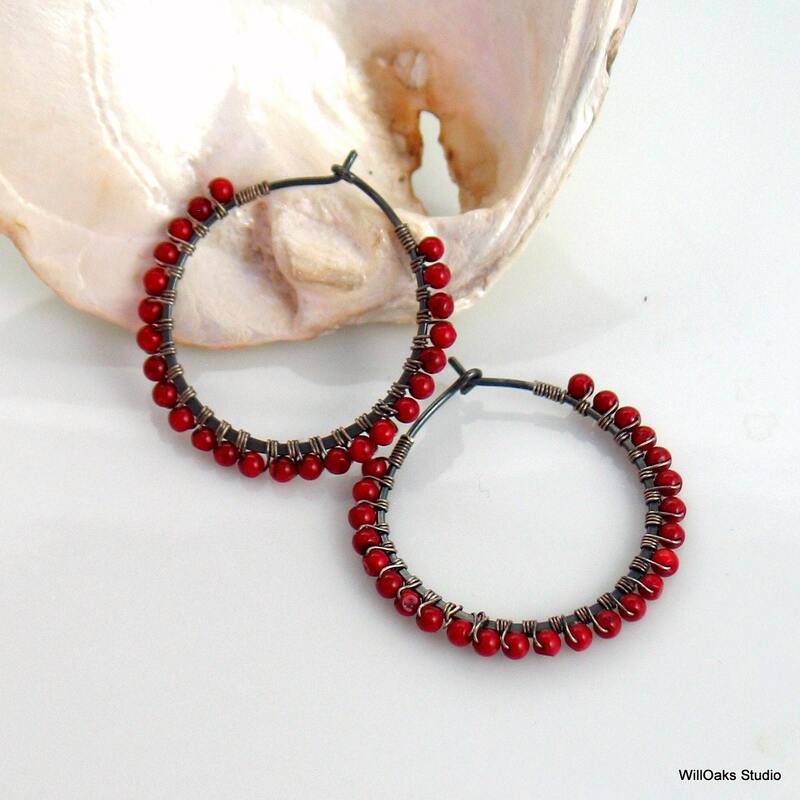 Lovely dark red hoop earrings are all the more striking with dark oxidized sterling silver. 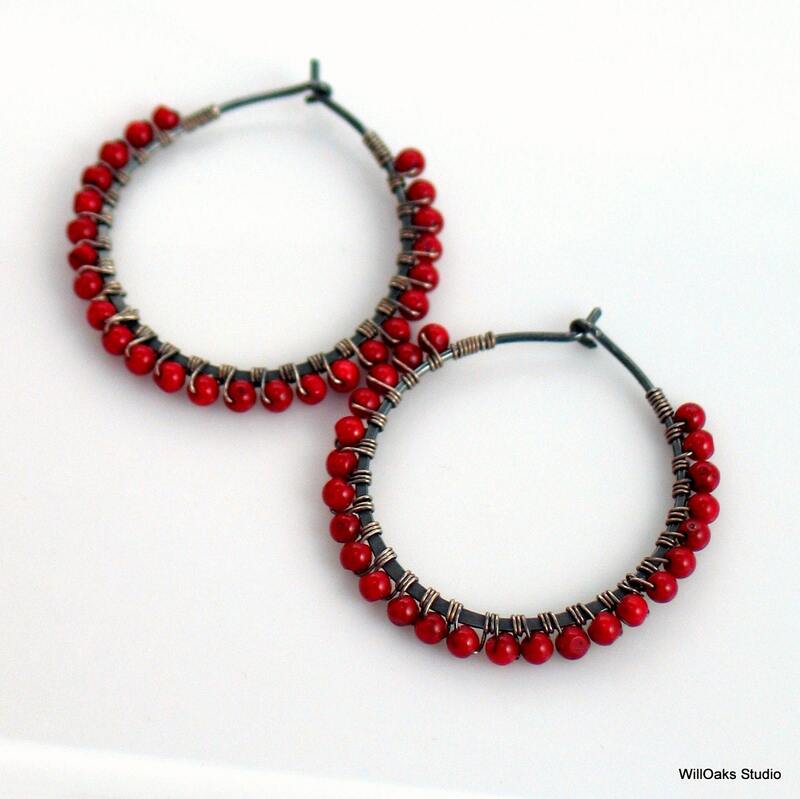 Add a pop of color to your day and be ready to cross seasons in my unique hoop earrings. 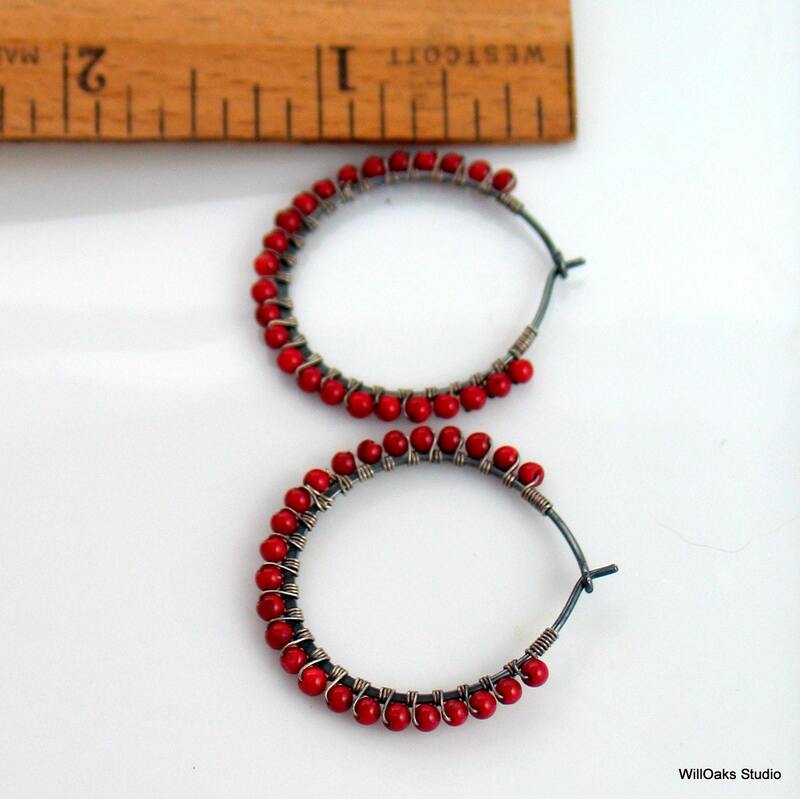 About 1" (24 mm) diameter hand forged hoops have a finished outer diameter of almost 1 1/4" (31 mm) including the beads, closing with a handmade catch. A limited edition, made to order. 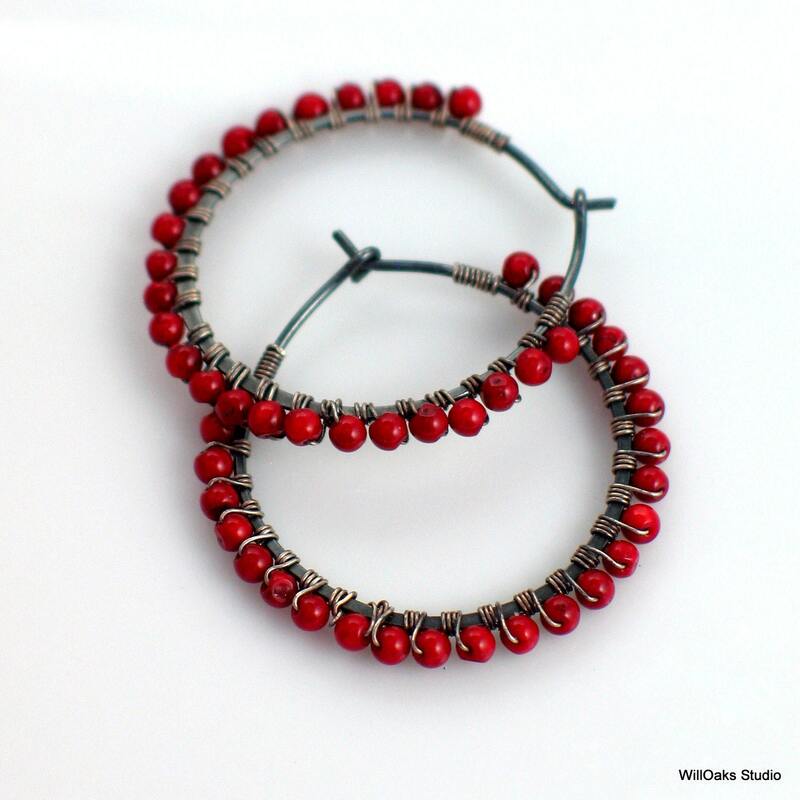 Shipped in a custom signature box, ready to give or to keep, and a perfectly affordable Autumn gift for her. 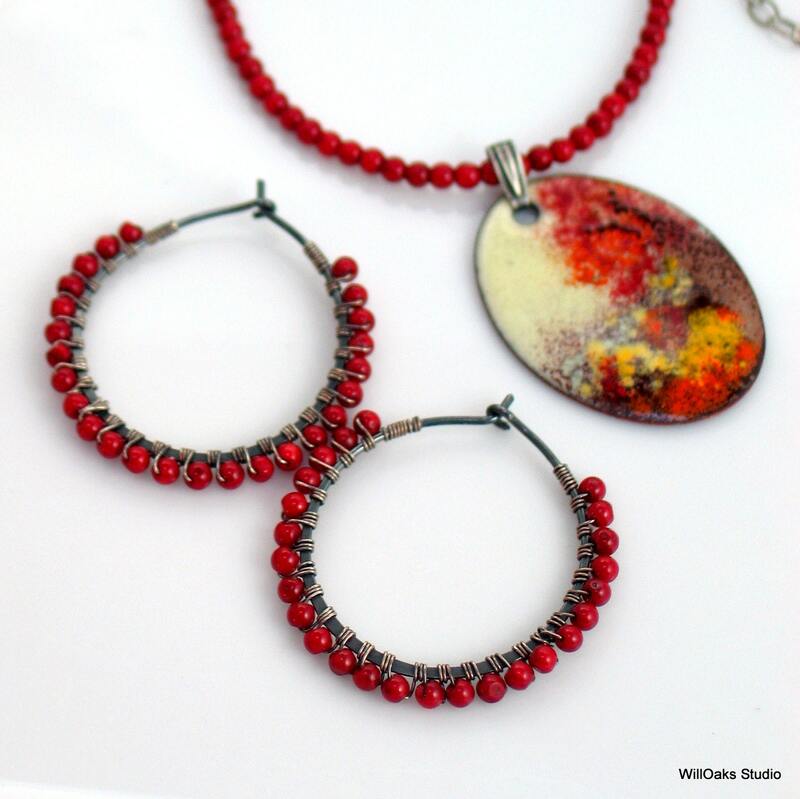 Please browse my studio here https://www.etsy.com/shop/WillOaksStudio and thank you for stopping by!